If your organization or business is interested in getting involved or sponsoring environmental education in Pike and Wayne Counties, the Conservation Districts have an opportunity for you! Each year the Pike and Wayne County Conservation Districts host the Pike/Wayne Envirothon. 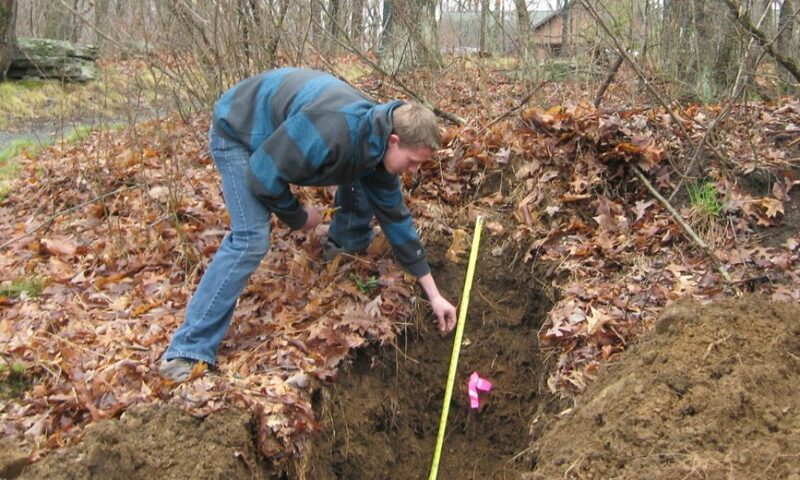 Schools form Envirothon teams that take an in-depth look at the disciplines of wildlife science, forest ecology, soil science, aquatic studies, as well as a yearly current issue topic. This year’s current issue is agricultural soil and water conservation stewardship. Teams prepare for this day-long competition by researching reference materials and by interacting with experts from the Conservation District and cooperating agency partners. In this process, the students are challenged to use teamwork in developing creative solutions to environmental problems. Pike and Wayne County Conservation Districts are currently looking for sponsors for our 31st annual Envirothon event which will be held Thursday, April 27, 2017 at the Wallenpaupack Environmental Learning Center, Hawley, PA. Donations support the purchase of Envirothon T-shirts, educational prizes and awards, and help defray costs for the winning teams to compete at the State Envirothon Competition. As an Envirothon sponsor of $100 or more, your business name or logo will be printed on this year’s Envirothon T-shirts, and you will be recognized on the Pike County Conservation District website, social media and press releases regarding the competition. T-shirts are distributed to student participants, team advisors, resource conservation agency personnel and event volunteers. If you would like to donate less than $100, your business name will be recognized on the PCCD website, social media and press releases regarding the competition. For more information on sponsorship opportunities contact the District office at 570-226-8220. ← What does a Conservation District Do?